You see, you don’t have to memorize the formula as long as you know the concept and you know the shape of the polygon. In some of the examples, below, I did not show use the shorter formula since they can be solved intuitively. The length of a rectangle is centimeters and its width is centimeters. What is its width? So, the correct answer is . The perimeter of a rectangle is centimeters. It’s width is centimeters. What is its length? As much as possible, train yourself to solve problems intuitively. This problem for example does not need to use Algebra. Just draw the triangle and then label appropriately. The two shorter sides are cm which sums up to centimeters. We subtract from and the difference is . Now, the two sides will share centimeters equally, so each side is centimeters. The longer side which is asked by the question is centimeters. 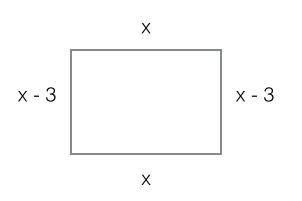 The with of a rectangular garden is meters less than its length. Its perimeter is meters. What are the dimensions of the garden? Let be the length and be the width of the rectangle. So, length is cm and width is cm. The perimeter of a rectangle is centimeters. It’s length is twice its width. 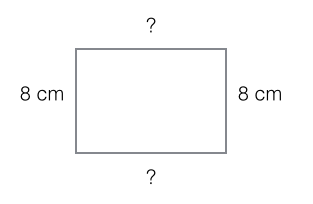 What are the dimensions of the rectangle? Let be the width of the rectangle and be its length. So, the width of the rectangle is and its length is centimeters. So the garden is meter. The checking of the problems’ answers are left as an exercise.